Our journey in life is never a destination but perhaps a chain where every single link represents a different destination or just another happy moment from our traveling lifestyle. And that shows to us all the opportunities we have to travel and how many things are out there waiting to be discovered. So today is going to be not just another touristic attraction from my country, but also a place from where you can start lots of other mountain trails which your fill your MIND with peace, your SOUL with excitement and your HEART with happiness. 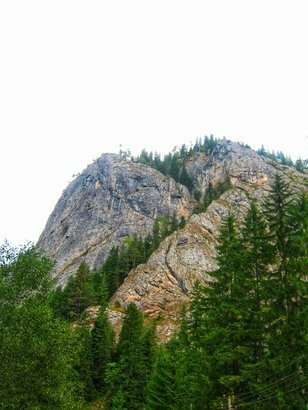 Bicaz Gorges are located in the center of the Hășmaș Mountains which is in the northeast side of Romania, one of the most scenic areas from my country, being extended on two counties - Neamț and Harghita. 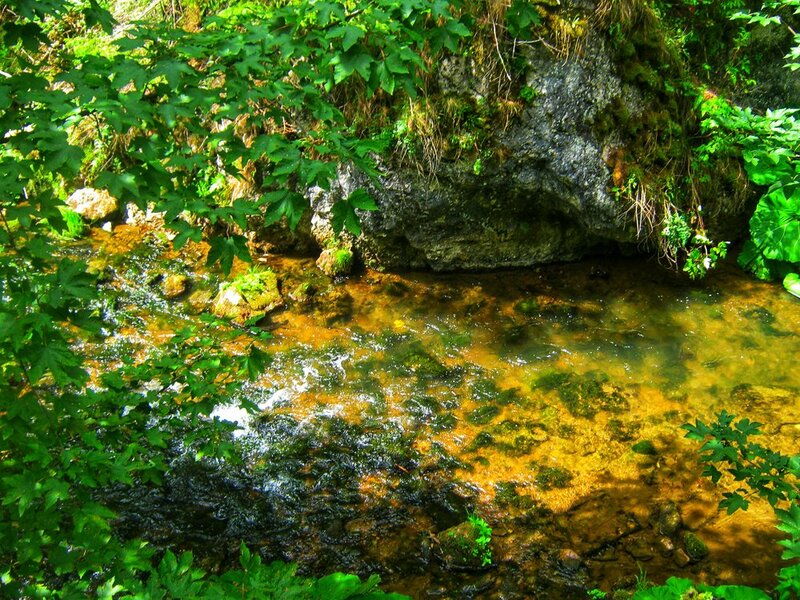 Being located on two counties, Bicaz Gorges also earned its position in the Bicaz Gorges - Hășmaș Mountains National Park (Parcul Național Cheile Bicazului - Hășmaș) which lies on a surface of a little over 6500ha and is part of the ProtectedPlanet database. 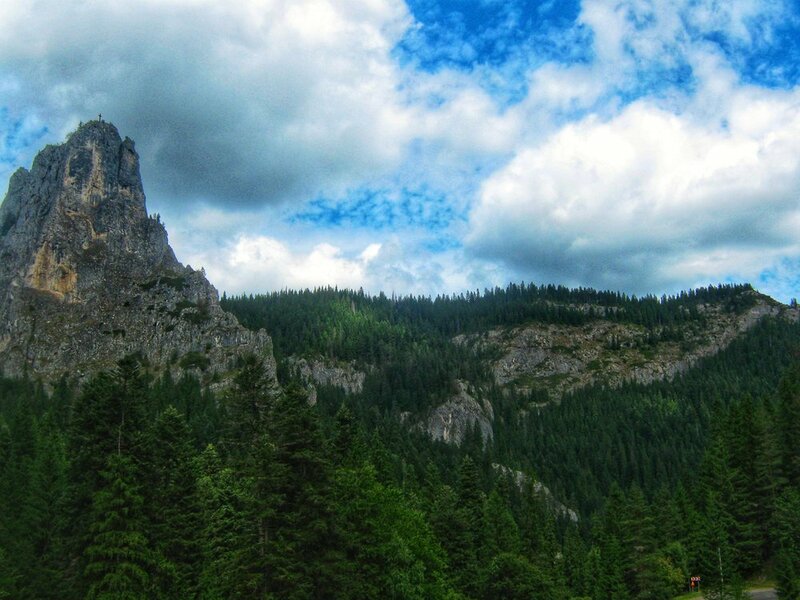 The spectacular gorges are just 8km long and are situated between The Red Lake and Bicaz-Chei - which represents the residence village. 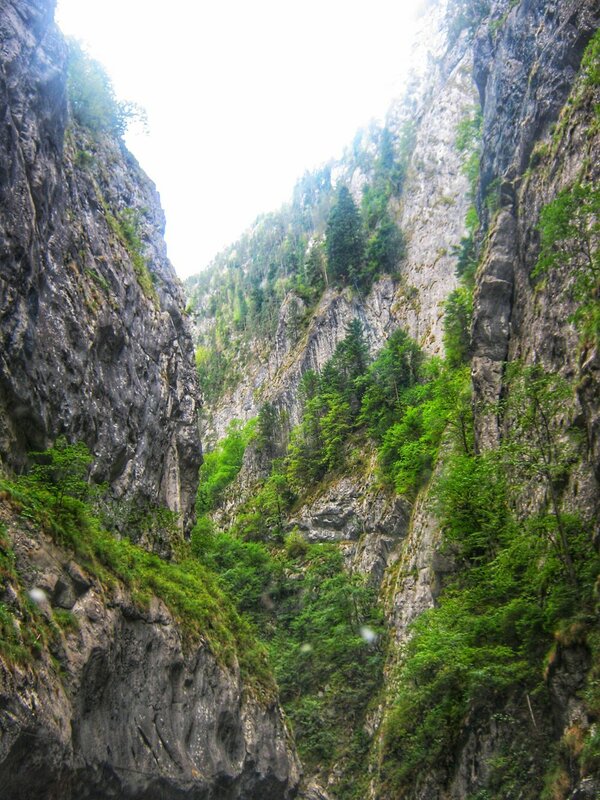 Being located so close of the mysterious lake, the Bicaz Gorges also make the connection between Transylvania and Moldavia and it's represented by the transcarpathian road, DN12C. I know that one of the most things that I write in my articles is that Romania is such a beautiful country so blessed in memorable touristic attractions that really need to be seen by more people. And that's not an accident. Because every single country is in continuous competition like who earns the most titles in different tops with the many amazing waterfalls, caves, mountains, rivers and so on, while I'm working so hard and thinking not to miss any place to be discovered and then transposed into stories and pictures (even videos sometimes) on here. At least I'm very happy that those are not simple words because the number of tourists in Romania keeps rising from a day to another and there are really plenty of people coming from different countries just to see those beauties with their eyes. Which makes me feel really proud and happy. But today is not about competition or tops but about a 8km road surrounded by extremely tall vertical cliffs which make you see how proud they feel to be there while are photographed and discovered by many tourists. The winding road that makes its way between the beautiful stones which from time to time gets over 300m, help you understand how tiny and fragile you are in such a huge, green and beautiful world. 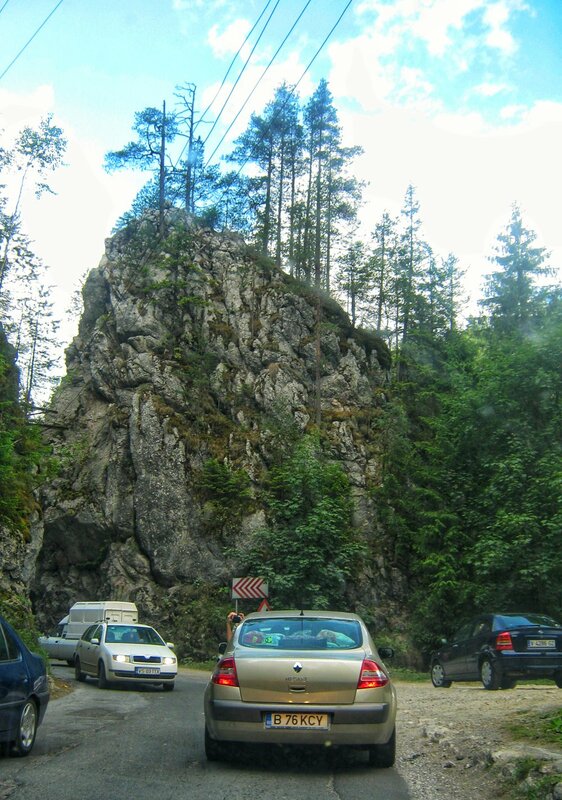 The rock walls have been entirely formed with the help of Bicaz River being carved out into mesozoic calcination which nowadays represents nothing else than unique landscapes. Being so close by each other, the vertical stones are frequently the favorite place for mountain climbers which consider it the real Heaven on Earth but also a huge peaceful canyon. 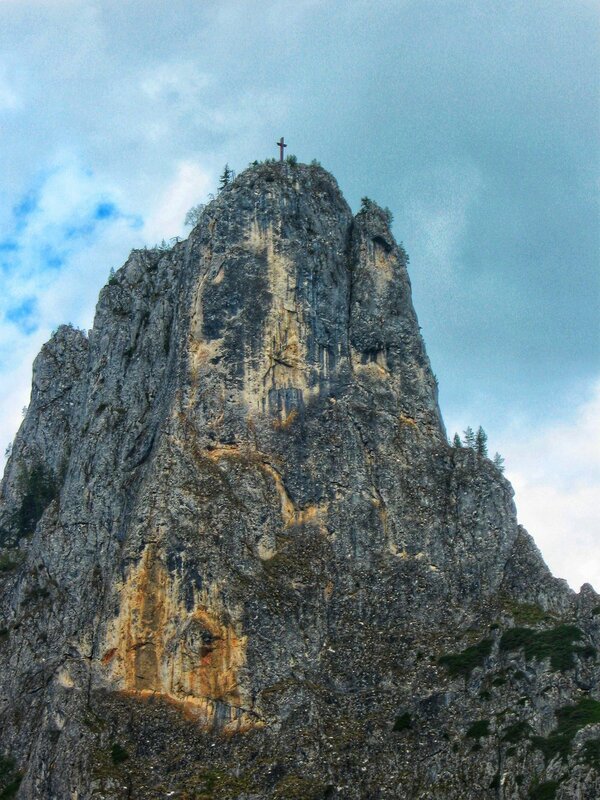 The Image attached is also not randomly picked because the stone you are watching is nothing else than the home for 5 different trails, the cross you see on top of the cliff (1140m) representing the Altar Stone (Piatra Altarului). 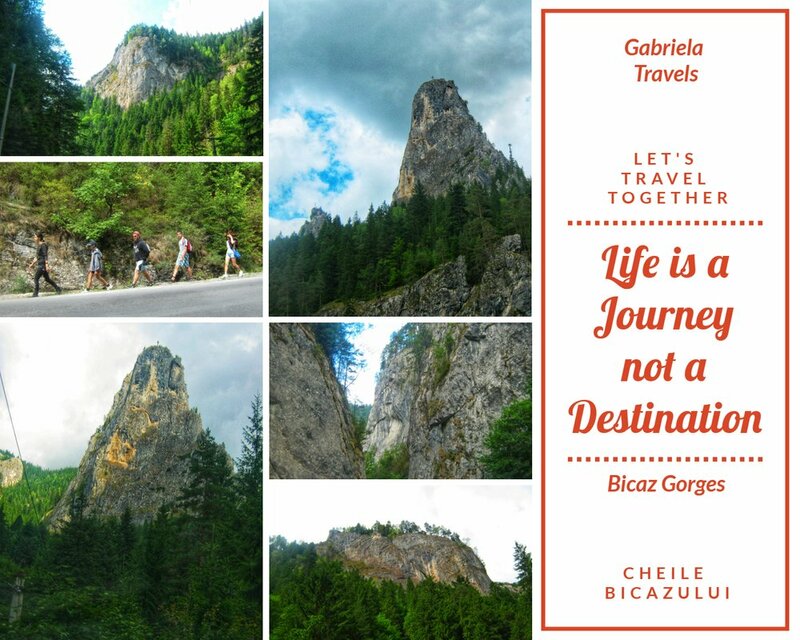 As I said before, Bicaz Gorges is one of the places that not only it amazes you with its beauty but also makes you continue the journey to some other touristic destinations. Every single attraction asks for a different number of hours, effort and equipment but the list I'm going to post below is not just for the mountain climbers but for the less trained tourists too. 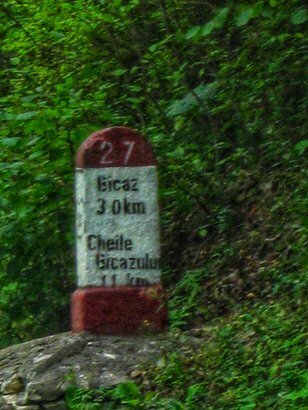 Bicaz Gorges -> Ucigasu Peak (Varful Ucigasu) - 1408 m (medium trail 3 hours of hiking).